a Prize I and one puppy earned a Prize II. Eight puppies, five females and three males, were born via cesarean birth on 12-21-15. 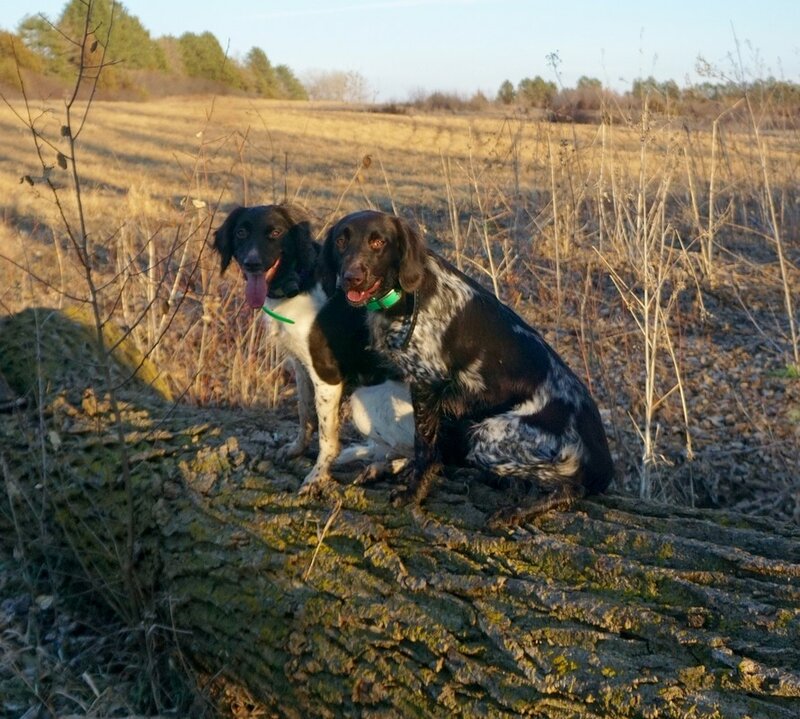 We chose to breed these two young dogs that we own because Branka and Zandor are intelligent and intense hunters in the field with very good noses and the ability to hunt both feathered and furred creatures. 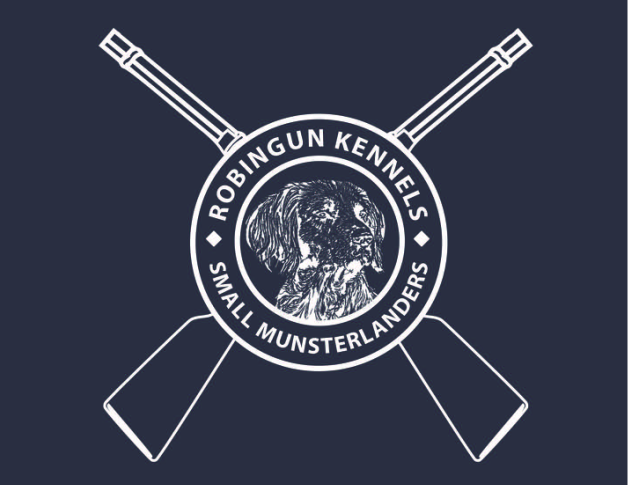 They are calm and loving pets in our home as well as our hunting partners in the field. Zandor is truly a versatile dog with the ability to hunt upland game, waterfowl, furred animals and blood track. 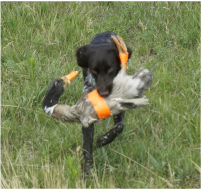 Branka has amazed us with her desire and her ability to do duck searches and find game on land since she was a young pup. Branka loves to work and she has a very staunch point in the field. Branka shows great enthusiasm in everything she does with a wonderful desire to please. 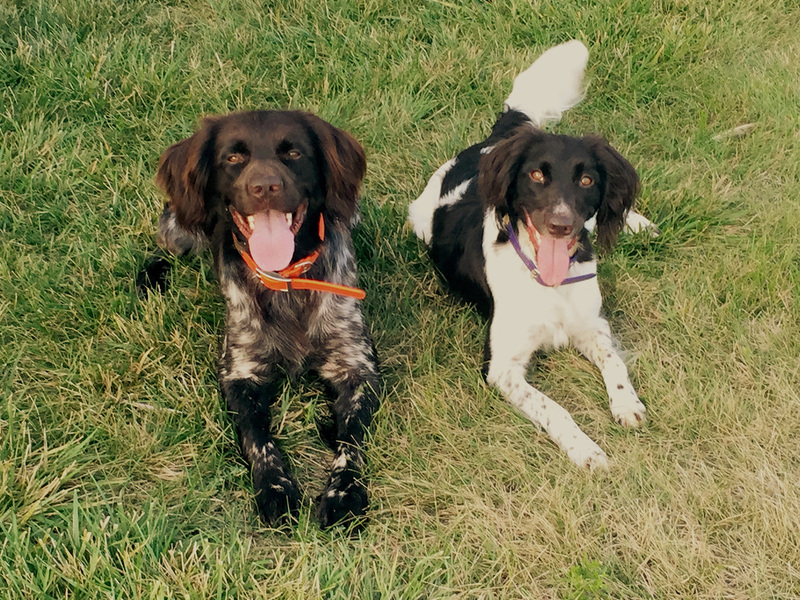 Both dogs have excellent test scores and passed two levels of the NAVHDA testing system before they were 20 months old. 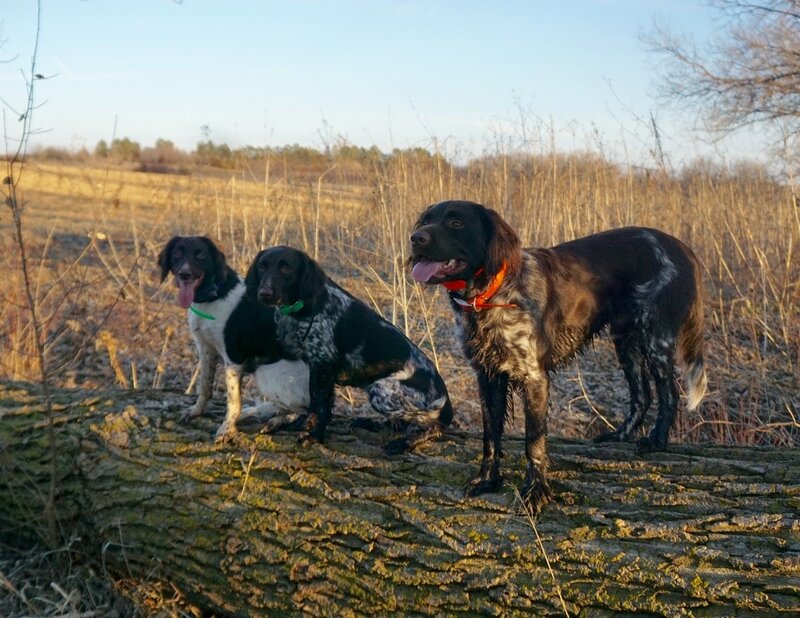 The purpose of this breeding was to produce pups of sound conformation with excellent instinct to point, retrieve, track, and swim that have wonderful temperaments in the field and the home. We kept Tevah, a female pup out of this litter and Tevah passed the NAVHDA NA, UPT and UT test before she was 22 months old. 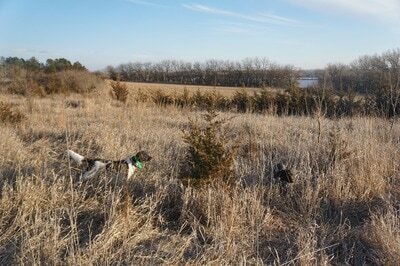 Five pups out of this litter passed the NAVHDA Natural Ability Test before they were 9 months old. Feedback we received about this litter was excellent so we decided to repeat this breeding for our "H" and "J" litters. 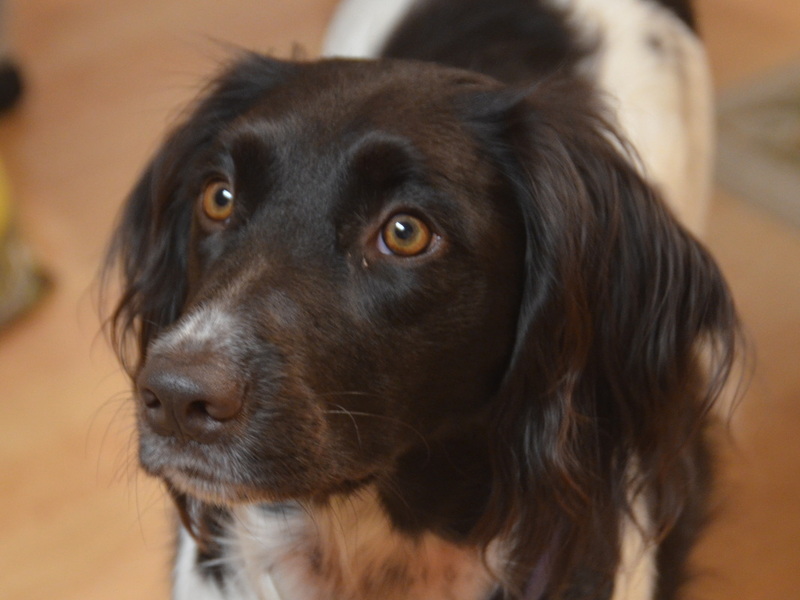 Branka - a wonderful female we kept out of our second litter. Tevah at six months of age delivering a duck to hand. 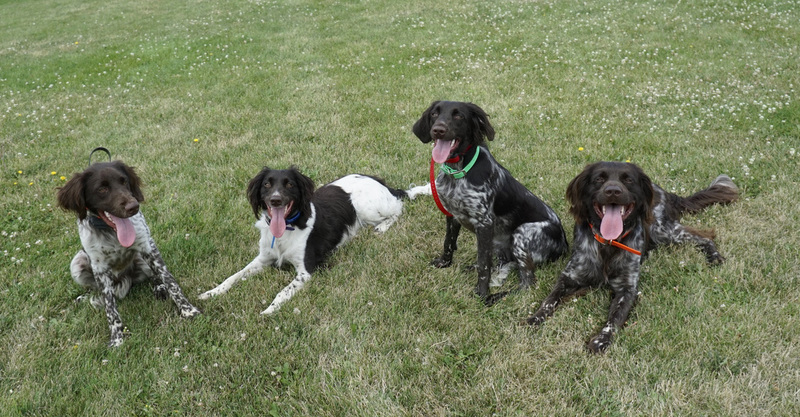 ABOVE: Lync, Branka, Tevah and Zandor when the pups were 7 months old.